As a self-taught sugar artist Robert acknowledges the work of many other tutors, worldwide in his learning through their sugar craft books, articles and journals; he has further explored and cultivated his knowledge by focusing his attention on the detailed anatomy of flowers and foliage. His unwavering passion and meticulous nature flourished through practice and repetition. In order to share his passion and desire to create sugar flowers and to teach others the skills, Robert established the Sugar Flower Studio in London, UK in 2006, he now regularly travels the world teaching Masterclasses, 1-2-1’s and demonstrating the art of sugar flowers. 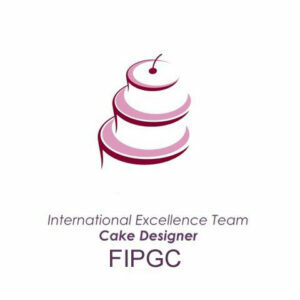 He is an accredited demonstrator for the British Sugar Craft Guild and a member of the International Cake Exploration Society (ICES – USA) His work can be seen featured in various magazines and publications around the globe and through the numerous on-line tutorials. He is currently working on his first book and adding to his range of distinctive veiners and cutters which are sold under his Sugar Flower Studio brand. He was recently given the title of an Artist of excellence, after being invited to represent the International team for the FIPGC.